Bruton said that while the recruitment and appointment of teachers is a matter for the individual school. 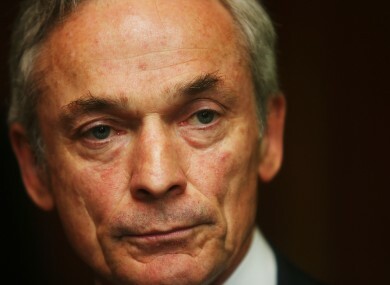 THE MINISTER FOR Education Richard Bruton said he has instructed his department to hire unemployed teachers ahead of retired ones. Fianna Fáil’s John Brassil said that national school teachers who must complete 100 compulsory days work experience in order to complete their degree are finding it difficult to compete with more experienced teachers. Bruton said that while the recruitment and appointment of teachers is a matter for the individual school, a number of measures for recruitment of teachers has been put forward to ensure that trainee teachers get access to vacancies. My department has directed managerial authorities of schools to recruit unemployed teachers ahead of retired ones. Each principal must report to his or her board of management on a regular basis that a list of unemployed registered teachers is being maintained, and the circumstances, where relevant, that a registered teacher in receipt of a public service pension or an unregistered person has been engaged. The minister said that as of September 2015, 2,260 additional teaching posts were made available in primary and post primary schools. Other financial measures have been introduced to deter retired teachers from taking up vacancies. A retired teacher who returns to teaching on or after 1 February 2012 will commence at the first point of the incremental salary scale – the lowest point or starting salary for teachers. Incremental credit for service prior to 1 February 2012, qualification allowances and certain job role allowances are also not payable. “This measure represents a significant financial disincentive for teachers who retired at the top of their salary scale, often with a post of responsibility allowance, to return to teaching,” said Minister Bruton. He noted that any newly qualified teacher who is unable to complete the experience training within the specified period may apply to the Teaching Council for an extension to that period. The measures to deter retired teachers from taking up posts come amid figures published this month that show the hiring of retired teachers is up on last year. Figures obtained by the Sunday Independent earlier this month show 560 retired teachers were employed during the 2014/2015 school year. More than 320 retired teachers were hired for primary school places, while 240 retired secondary teachers took up jobs. This was up on the previous year, when 537 retired teachers were hired to fill teacher vacancies. Anger of graduate teachers is also heightened due to lack of pay parity for new teachers. This month the Teachers’ Union of Ireland (TUI) called for income parity for new and recent entrants to the teaching profession . President Joanne Irwin said new teachers find themselves in a “precarious employment status”. We cannot allow a situation where reduced pay and low hour contracts result in the teaching profession becoming increasingly less attractive to the country’s best graduates. Email “"Hire unemployed teachers ahead of retired ones" says minister”. Feedback on “"Hire unemployed teachers ahead of retired ones" says minister”.